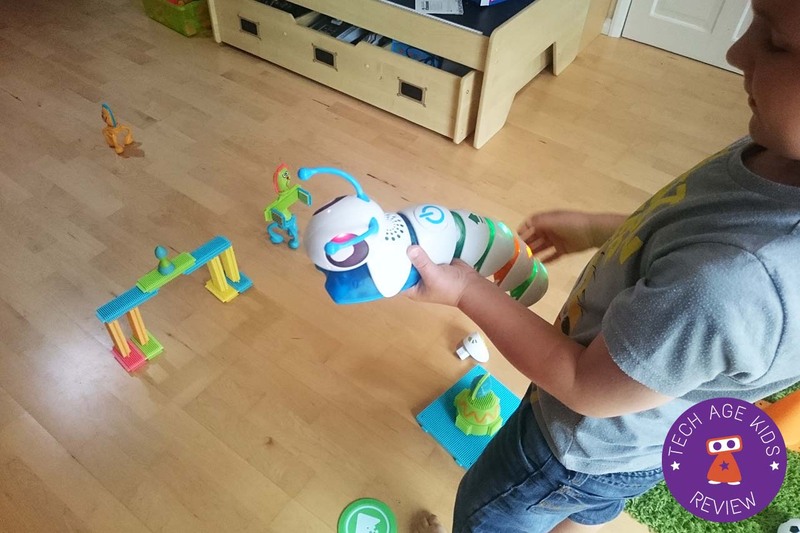 Code-a-Pillar is one of Fisher Price new toys for this year. 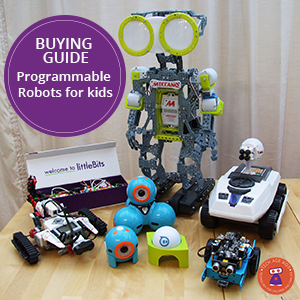 We're pleased to see big toy manufacturers recognize the importance of teaching young kids coding concepts. And that is exactly what Code-a-Pillar is all about - introducing preschoolers to sequencing and giving instructions. The Code-a-Pillar toy is a caterpillar with a head unit and 8 segments. There are two right turn, two left turn, three straight and one sound segment included, with two circular targets. The Code-a-Pillar comes with batteries and is ready to play straight out of the box. 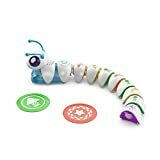 Like a lot of kids toys, the Code-a-Pillar takes some patience to remove from the box, so consider taking it out of the box before giving it to your toddler for Christmas. Code-a-Pillar can also use rechargeable batteries. There are expansion packs available, containing 3 segments each. The expansion packs allow you to do more with your Code-a-Pillar such as adding more turns or sounds. We think the 'Master Moves' expansion pack would provide the best range of options to extend your child's understanding of coding basics. The pack includes a repeat segment, 45 degree and 180 degree turn segments. Other expansion packs include silly sounds and lights. You can also purchase individual segments. The power (batteries) and motors are located in the head of the caterpillar. The body segments are added to the head by pushing the USB connectors together. It can feel a bit stiff at first, but we quickly got the hang of it. Most importantly it felt really robust especially for this younger age group. The Code-a-Pillar comes in "demo" mode with batteries already included. Make sure you switch it to play / on before starting to play. When you're happy with the number of segments on your caterpillar, you push the 'Start' button on the head section and Code-a-Pillar starts moving. Interestingly, my son, wanted to push a "button" on every segment to play the next move, but they are only lights and the sequence of the segments will be played automatically once you press play. The Code-a-Pillar needs a lot of space to move. One straight (forward arrow) move segment will make the caterpillar travel forward one yard (approx 92cm). 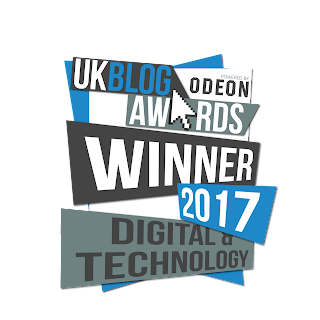 For a smallish UK home this can be a bit of a problem. The turning circle is quite wide too. The sound on Code-a-Pillar is quite loud, and unfortunately there isn't a switch to adjust the volume. You could easily solve the problem, by putting some tape over the speaker on the head section. My son loved the lights and followed the caterpillar as it moved. When we played with Code-a-Pillar, we built some Sticklebricks structures for the caterpillar to maneuver around. Code-a-Pillar offers a lot of learning value. 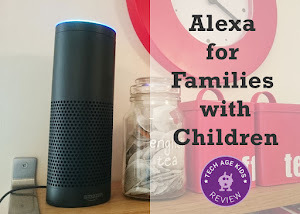 At Tech Age Kids we like toys that teach kids critical thinking and problem solving skills. 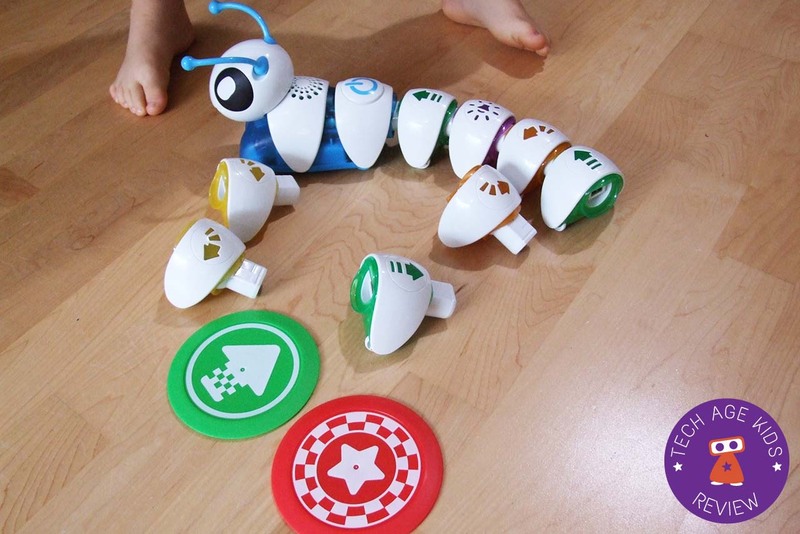 Code-a-Pillar allows young kids to learn sequencing and giving a "robot" instructions. My 5 year old used the Sticklebricks to build an obstacle course, with a bridge and some alien barriers. We used the green target to show the starting point and placed the red "star" at the end point. He applied his own version of experimentation (without prompt I may add) to decide which segments he needs to get Code-a-Pillar from the start to finish targets. He first added each segment separately to the Head and pressed "Go" to discover how that segment made the caterpillar move. He then worked out which segments he would need to achieve his goal. He then added the Head section and pressed "Go"
He then adjusted his obstacle course and/or segments to improve the design. When he got a sequence "wrong" he wanted to start again, but we found Code-a-Pillar was a bit reluctant. Once the caterpillar is on the move and the head is bumped or the start button is pressed again it will stop. When you start it up again, it will replay that segments and carry on. 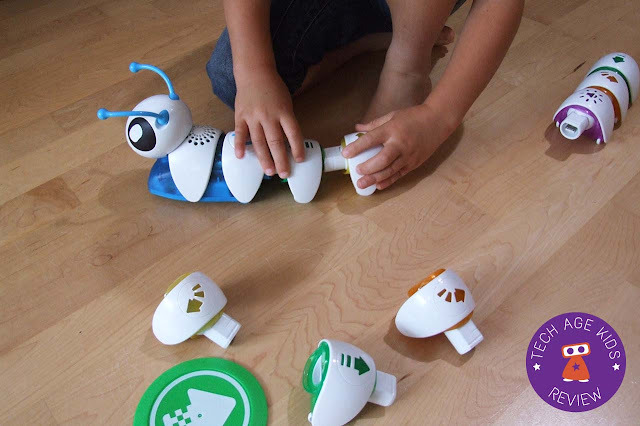 Code-a-Pillar is a fun but also educational toy to get toddlers and preschoolers introduced to coding concepts. The colours are great and will appeal to both boys and girls. The sound gets a bit loud after while, but like we mentioned you could always stick a bit of tape over the speaker. 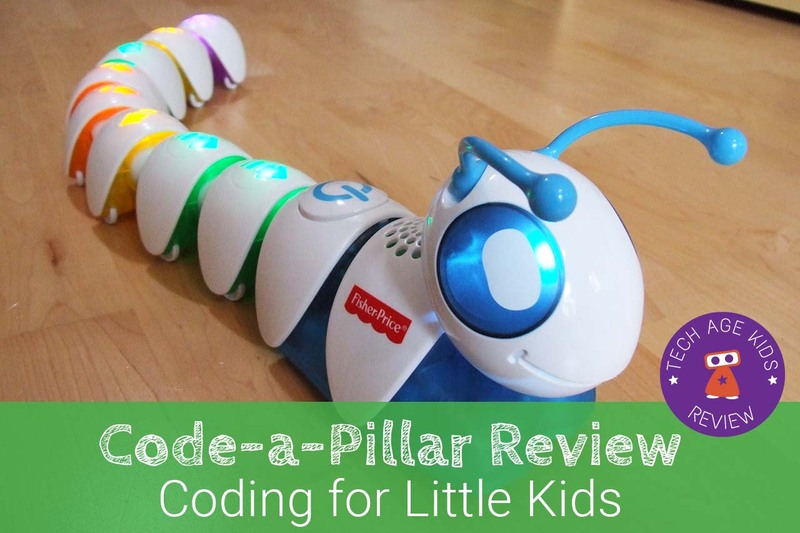 We think Code-a-Pillar would be the type of toy a child would happily play with on their own. 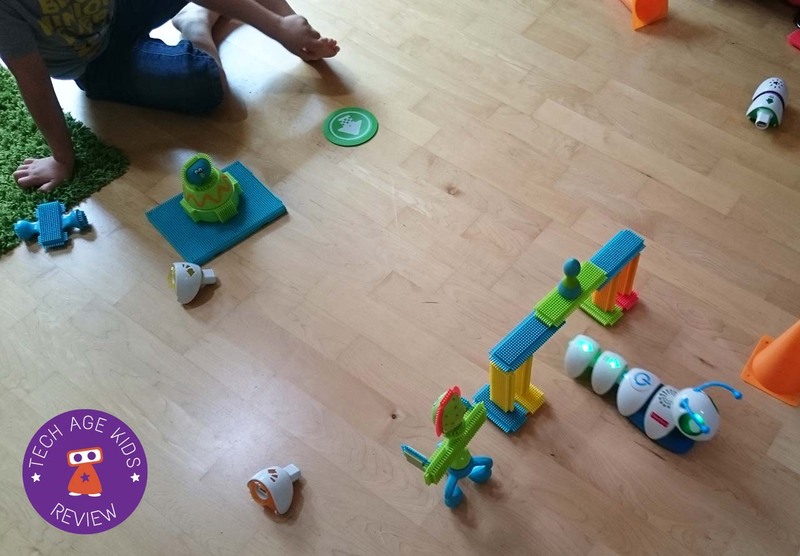 However with some adult input a young child can gain lots of additional benefits as they experiment and discover different ways of "coding" it. 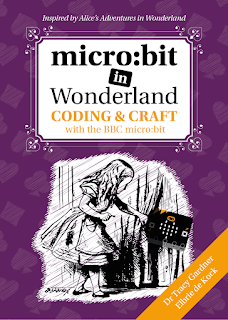 Our main reservation with Code-a-Pillar is that you need a lot of space to use it properly. It really does travel quite far.